Forego any formalities and even the cutlery for one of the most satisfying Indian meals in Singapore — banana leaf curry. A swatch of banana leaf serves as your plate and rice, dahl and veggies are heaped on top and constantly refilled. Meat dishes are ordered separately and come in portions big enough to share — try the butter chicken, tandoori prawns or the famous fish-head curry (it tastes better than it looks). 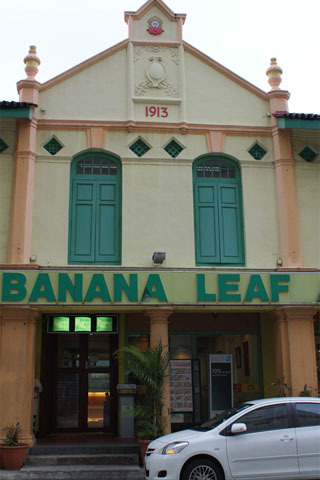 The Banana Leaf Apolo's 35-year history is a testament to the food, with the restaurant's cleanliness, air-con dining area, and friendly staff a bonus. A second location is at 48 Serangoon Road.